Do you feel dehydrated and exhausted after a sweaty run? That’s because sweat isn’t just made of water; it’s also full of essential electrolytes that perform critical functions that keep your body performing at its best. And when you sweat profusely, you lose these key electrolytes in droves, causing all sorts of trouble. That’s why in today’s post, I decided to delve into the importance of electrolytes for runners. In case you have experienced muscle cramps or been severely dehydrated on a long run, chances you’ve already run into what’s it’s like to be out of electrolytes. Electrolytes are the umbrella term for substances that conduct electricity when dissolved in water, carrying either a positive or negative charge. Electrolytes are crucial to several biochemical processes—from allowing muscles to contract, keeping the body well hydrated, regulating heartbeat, etc. They’re found in blood, tissues, urine, and other body fluids. Keeping these essential electrolytes balanced is vital for optimum performance and successful training, especially if you run a lot. Essential electrolytes for runners include sodium (Na+), potassium (K+), chloride (Cl-), and calcium (Ca 2+). Electrolytes are essential not only during running but also throughout your everyday life. These are key for virtually every bodily system, including the cardiac, digestive, muscular and nervous system. Essential electrolytes are lost in sweat when running, including potassium and sodium. Regular and mild sweating poses no threat—it’s when you profusely sweat—typically when running in the heat for too long—that you should start worrying. These deficiencies not only contribute to muscle cramps but could also potentially ruin your performance on your next run. Depending on what sort of electrolytes imbalance occurring, experts suggest that various issues, such as stomach cramps and side stitches, can also be blamed on such deficiencies. How to consume enough electrolytes, you ask? 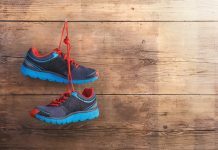 Most people—especially runners—want to know the answer to this question after dealing with one or many of the issues discussed above. Luckily, the answer is not that complicated. All you have to do is to consume real food. Of course. Right now, you might be thinking—but what about popular sports drink like Gatorade or Powerade? I won’t deny it. These drinks do serve a purpose—but I won’t recommend them for the typical recreational runner. If you’re reaching for sports drinks instead of real food to replenish your electrolytes reserves, you might be doing more harm than good. 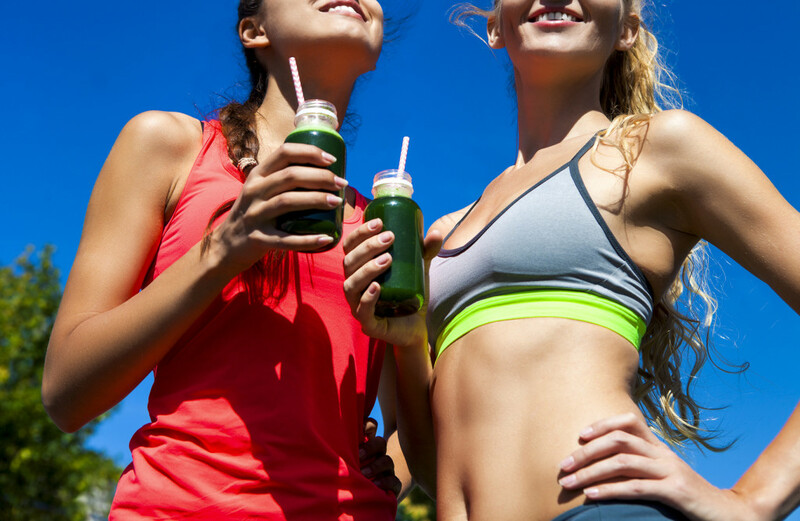 Most sports drinks are packed with sugars, artificial colors, and harmful chemicals. Unless you’re an endurance athlete, I don’t think sports drinks are the best approach. 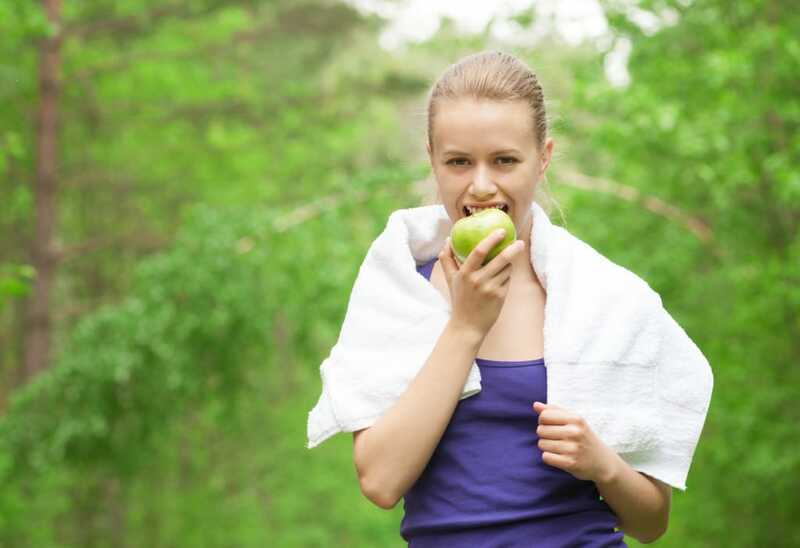 Instead, the best way to replenish electrolytes lost while running is through real food. Electrolyte-rich veggies include s beans, spinach, potatoes, and lentils while good fruits sources include avocado, coconuts, raisins, bananas, and dates. So, unless you log countless miles a week, you should stick to plain water and a healthy, well-balanced, diet. If you’re planning to run for a long time and want to drink a sports drink, opt for something low in sugar. Or, you can also make your own sports drink by following the simple formula shared in this YouTube tutorial. Here are the most critical electrolytes for runners and how to get enough of them. Sodium is the electrolyte you lose the most while sweating. Also known as sodium chloride—or common table salt—this electrolyte helps regulate body fluids (so you don’t get dehydrated fast), muscle and nerve function, control acid-base balance as well as blood pressure. The good news is most people, including recreational runners, get sufficient, if not too much, sodium in their diets. That said, if you do any form of endurance training—as in, running longer than 90 minutes per session, it’s key to replace this electrolyte afterward. The recommended intake: no more than 2300 mg of sodium per day. Salt: 1 tablespoon contains 2300 mg of sodium. Pickles: 1 cup contains 1800 of sodium. Potassium is the third most abundant mineral in the body, with roughly 98% of it stored within your cells. Not only that, but this electrolytes also promote glycogen storage and facilitates the transport of nutrients. We don’t burn off lots of potassium, even during intense training. That’s why running low on potassium is relatively rare as the body stores a sufficient amount of it. It’s also easy to get enough from everyday diet. The recommended intake of potassium is 4700 mg per day. Apricots: 1 cup contains 1,500 mg of potassium. Sweet potato: 1, backed, contains 700 mg of potassium. Beet greens, 1 cup, cooked, contains 1200 mg of potassium. White beans: 1 cup, canned, contains 1100 mg of potassium. Bananas:1 medium contains 400 mg of potassium. Tomatoes:1 medium 300 mg of potassium. Tomato soup: 1 cup contains roughly 400 mg of potassium. Almost every function in the human body requires this essential electrolyte. Magnesium contributes to muscle and nerve function, maintain blood sugar levels, improves immune functions, and promote the function of some enzymes. It’s also vital in regulating heart function and healthy blood pressure. Magnesium deficiencies are fairly rare, but when they hit, they can result in symptoms ranging from muscle weakness, and drowsiness, to numbness and hallucination. The recommended intake: 420 mg of magnesium per day for men and 320 mg for women. Almonds: 1 ounce, dry roasted, contains 80 mg of magnesium. Spinach: 1 cup contains 160 mg of magnesium. Cashews: 1 ounce, dry roasted, contains 74 mg of magnesium. Swiss chard: 1 cup contains 150 mg of magnesium. Peanuts: 1 ounce, oil roasted, contains 63 mg of magnesium. Soymilk: 1 cup contains 60 mg of magnesium. Black beans: 1 cup, cooked, contains 120 mg of magnesium. Peanut butter : 1 tablespoon contains 25 mg of magnesium. Supporting the nervous system function. The exact calcium needs depend on your age, training intensity, and other factors. The recommended intake: 1000 to 1300 mg of calcium per day. Almonds: 1 contains 385 mg of calcium. Spinach: 1 cup, cooked, contains 245 mg of calcium. I hate to sound like a broken record, but as long as you’re eating healthy and whole foods, drinking enough water, your electrolytes balance should be fine. The rest is just detail, as the saying goes. Please feel free to leave your comments and questions in the sectin below.